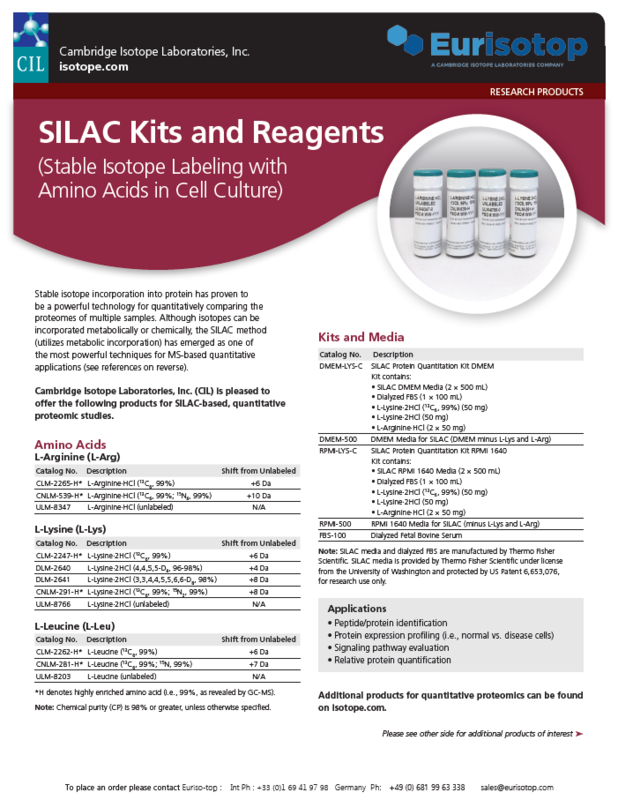 SILAC refers to labeling cultured cells with heavy amino acids for quantitative proteomic analysis. 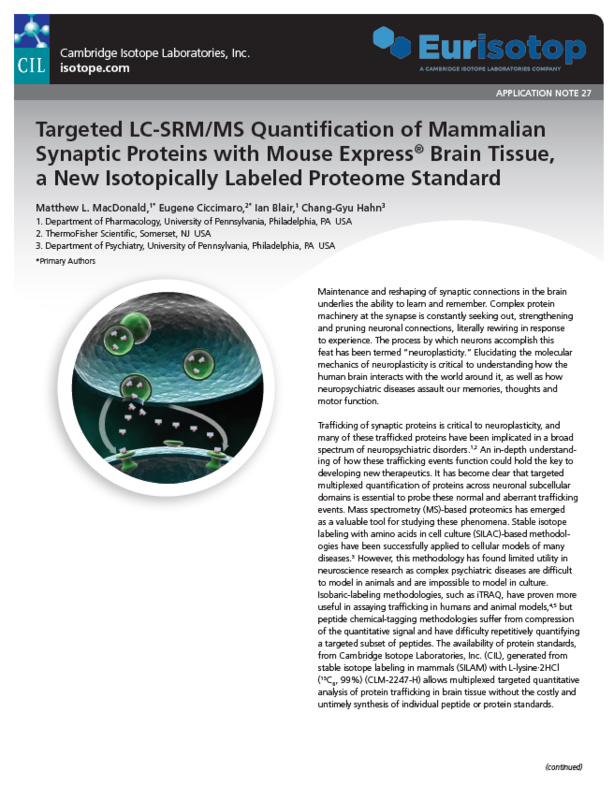 Labeling an entire proteome with heavy amino acids in vivo generates an ideal standard for quantitative proteomics. When a heavy labeled proteome is mixed with an unlabeled proteome then digested, every unlabeled peptide identified by the mass spectrometer can be quantified by its corresponding heavy peptide. 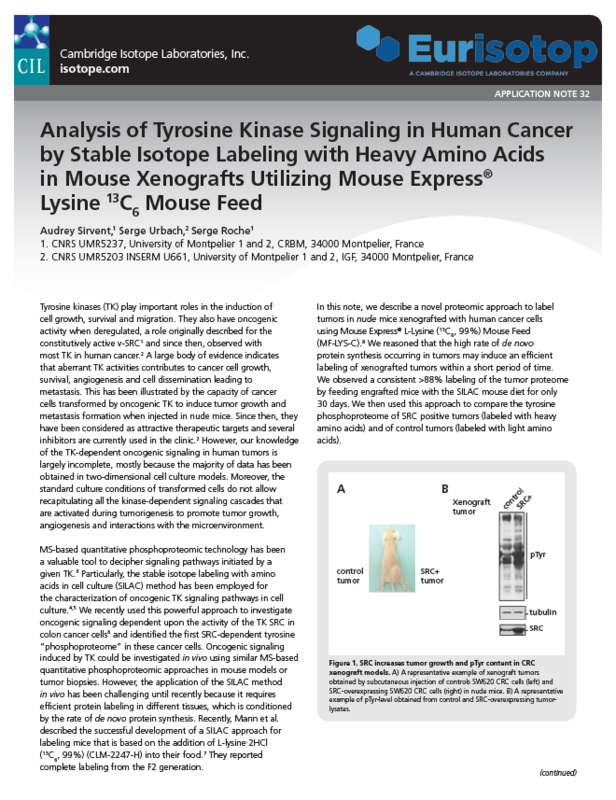 In SILAC, the tryptic amino acids, arginine (R) and lysine (K), contain heavy stable isotopes, so if digesting with trypsin, every peptide is labeled. 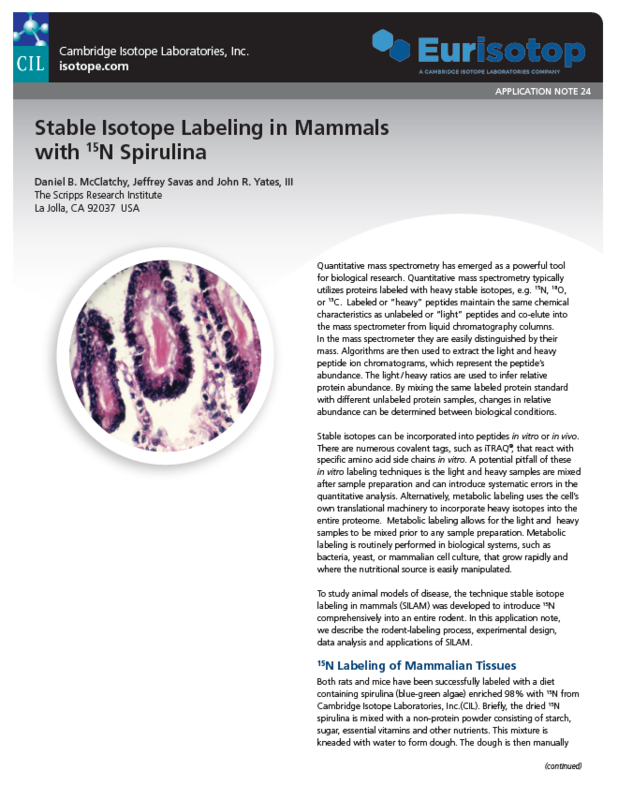 This metabolic labeling strategy has been employed by hundreds of proteomic studies (see example references below). 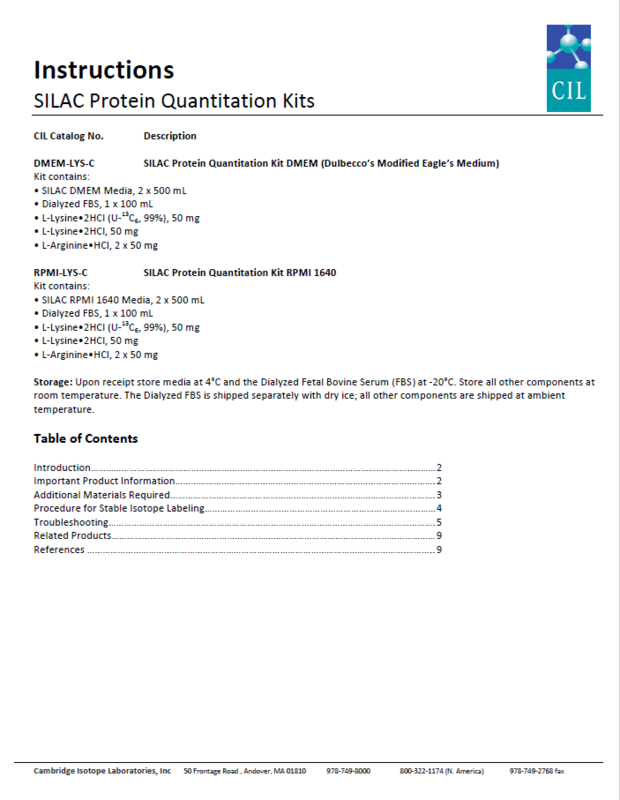 The advantage of metabolic labeling over in vitro tagging techniques is that the heavy and unlabeled samples are mixed before sample preparation, preventing variability between preparations distorting the quantitation results. 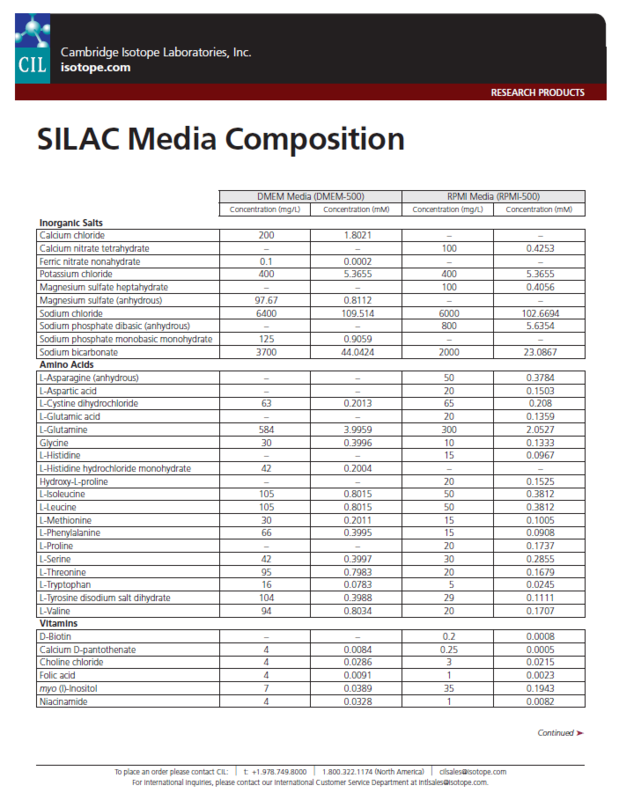 This is especially important for extensive sample preparation (e.g. isolation of an organelle). Liao, L.; McClatchy, D.B. ; Park, S.K. ; Xu, T.; Lu, B.; Yates III, J.R. 2008. Quantitative analysis of brain nuclear phosphoproteins identifies developmentally regulated phosphorylation events. J Proteome Res, 7(11):4743-55. 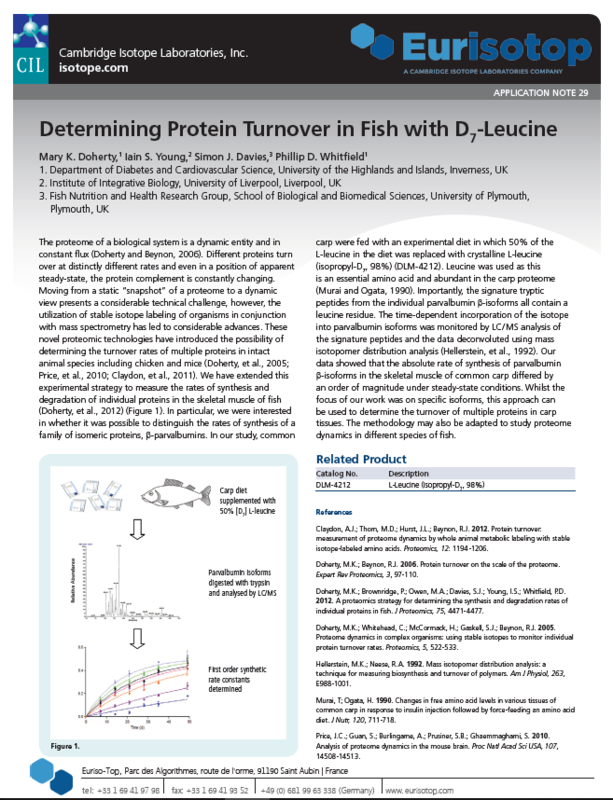 Click here to view full article on PubMed.